Finding truck deals that are great on new and used Chevy trucks for sale is easier than ever before. All you have to do is stop in and shop at Ewald Chevrolet Buick. 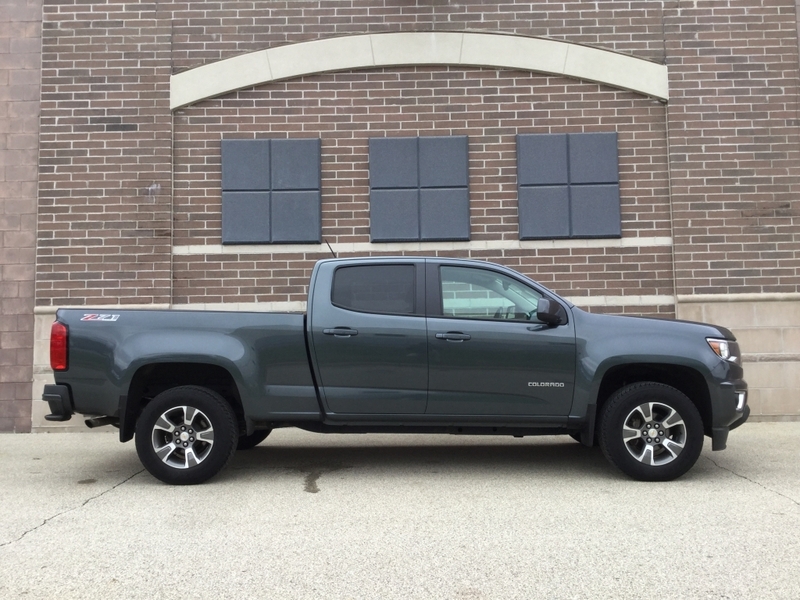 At our Chevy truck dealership, drivers can enjoy a wide variety of new and used trucks for sale in Wisconsin. If you happen to be like other drivers and looking for deals on trucks for sale, come to our Chevy dealership in Oconomowoc WI. We offer a diverse selection new and used Chevrolet trucks for sale. Including used Chevy Colorado trucks for sale. Ewald Chevrolet Buick provides many affordable offers and deals on our new and used trucks, like the used Chevrolet Colorado. You are sure to discover a new or used truck for sale at Ewald Chevy dealers that fits within your budget! Our wide and diverse selection of new and used Chevrolet trucks for sale is sure to make it easier than ever before to find the truck that is right for your daily needs. So stop by Ewald’s Chevy truck dealer today and take a look at some of our used trucks for sale. Like a Chevy Colorado for sale. Like on the 2015 Chevrolet Colorado Z71 truck for sale. This used Chevy Colorado for sale is an excellent truck for sale if drivers want a stylish truck that gets the job done. This used Chevy Colorado offers excellent performance. That is wonderful for those who want to experience hours of enjoyment while out on the open roads of Wisconsin. There is plenty more to check out and enjoy when exploring the Chevy Colorado. Like a full variety of incredible features and options. Such as heated seats, leather, and a heavy-duty trailering package. This used Chevy Colorado for sale has much more and is just waiting for you. Which gives you even more reason to take come in to check this used Chevy truck out. Take this used truck for a spin down the streets of Wisconsin today. Check out our outstanding inventory selection of used Chevy trucks for sale near you today. If a used Chevrolet Colorado for sale isn’t the truck for you, check out one of the many other new and used Chevy trucks. View all that we have available to you at Ewald Chevrolet Buick. Our knowledgeable and friendly Cehvrolet sales team is eager to answer your Chevy truck questions. Whether it is a used Chevy Colorado for sale or one of our other used Chevy trucks for sale, we have your next used Chevy for sale waiting here for you at your local Chevy truck dealership near you of Ewald Chevrolet Buick. Give us a call today and schedule an appointment for a test drive in a Chevrolet Colorado at (262) 226-2842 to schedule your test drive. Or you can find our Ewald Chevrolet Buick truck dealership at 36833 E Wisconsin Ave Oconomowoc WI, 53066. Let us show you what makes us stand out from the rest. Come to Ewald Chevrolet Buick today.